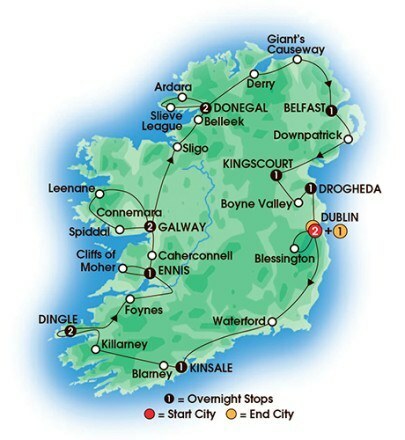 One of our longest and most leisurely Irish trips, the north and south come together, with all the famous cities and sights, and exclusive experiences like a private reception at Christ Church Cathedral. 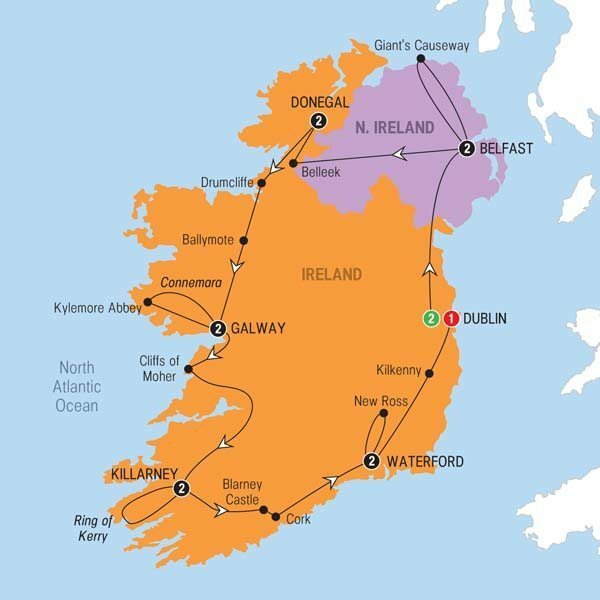 Enjoy Insider moments like… meeting local characters in Ireland’s most iconic cities, who share their home towns’ sights, stories and secrets as they take you around their favourite places in Dublin and Belfast. 5 dinners (including Be My Guest).